The Park has an interesting grassland/aspen area of high geological diversity and protects a small representation of upper grasslands in conjunction with an Aspen/Douglas-fir forest. This area offers opportunity for hiking, wildlife viewing and photography. During July and August there is a small but colourful bloom of wildflowers. Note that no camping or day-use facilities are provided. Park Rangers patrol this area infrequently; all visitors must be prepared to be self-sufficient. Bring your own drinking water as there are no water sources available in this park. There are no toilet facilities provided. Visitors should exercise proper backcountry sanitation procedures when no facilities are available. Deposit human waste in cat holes. Cat holes are 6 to 8 inches deep. Thoroughly cover and disguise cat holes when finished. Bury toilet paper as well - do not burn it. This park is situated 40 km west of Cache Creek. To access the park, drive north from Cache Creek on Hwy #97, west along Hwy #99, south along Hat Creek Road, and then up logging roads along Medicine Creek. A backcountry road map will assist visitors in locating this park. 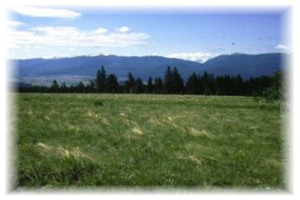 Cultural Heritage - This area may have been used by First Nations as a camping and food-gathering site. Conservation - The park protects an area of grassland and mixed Douglas fir/aspen in the Pavilion Ranges. It encloses two ponds with associated wetlands, and is noted for highly diverse habitats for a variety of species. Of particular interest is the geological diversity of the park, with Miocene plateau basalt to the north, Spences Creek group sandstone/conglomerates to east & west, and ancient Cache Creek limestones through the centre. Mountain biking is available on the established roads within the park. Hunting is permitted in this park only during lawful game hunting season. Please check the BC Hunting and Trapping regulations for more information. Exempt from the No Hunting, No Shooting Restrictions within 400 m of the center of park roads. Backcountry areas are rarely suited for dogs due to wildlife issues and the potential for problems with bears. Pets/domestic animals must be on a leash at all times. Backcountry areas are not suitable for dogs or other pets due to wildlife issues and the potential for problems with bears. Campfire should be used only for warming or drying. If visitors require a campfire, keeping the campfire small can conserve firewood and air quality. Do not leave your campfire unattended. Please ensure the campfire is completely extinguished before leaving the area. To preserve vegetation and ground cover, it is prohibited to gather firewood from the area around your campsite or elsewhere in the park. Dead wood is an important habitat element for many plants and animals and it adds organic matter to the soil. If you rely on campfires for cooking, be prepared to bring a portable stove should a campfire ban be implemented.